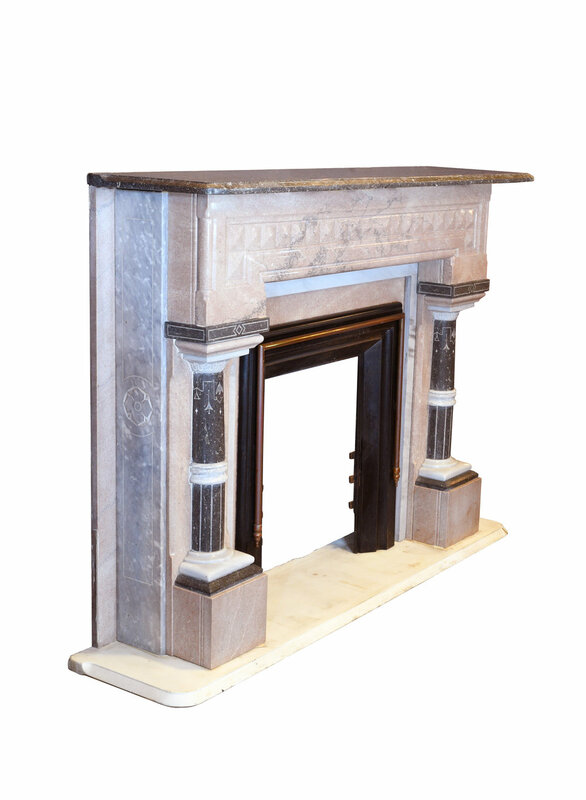 Mantels often highlight the architectural style of a home's interior decor, and this pink and grey marble mantel is no exception. The Victorian design is perfectly aligned with the Queen Anne house from which it was salvaged. 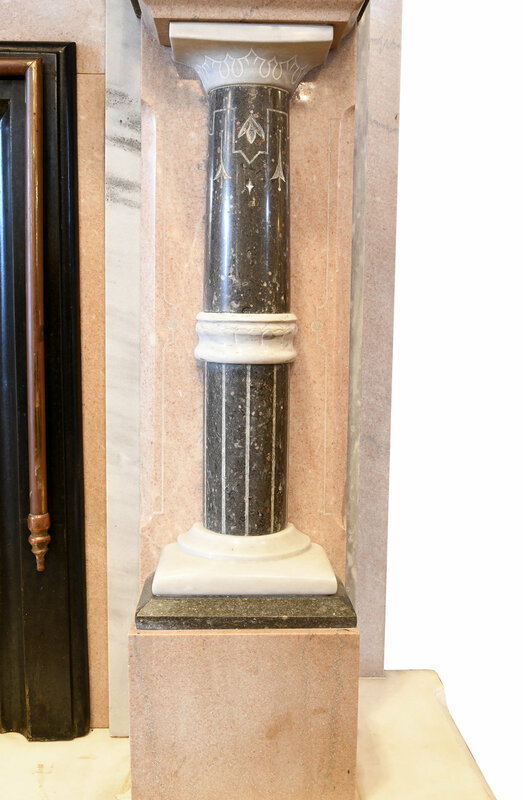 Ornate columns engraved with stylized flowers flank either side of the opening, and a row of squares set in high relief runs along the top of the fixture. 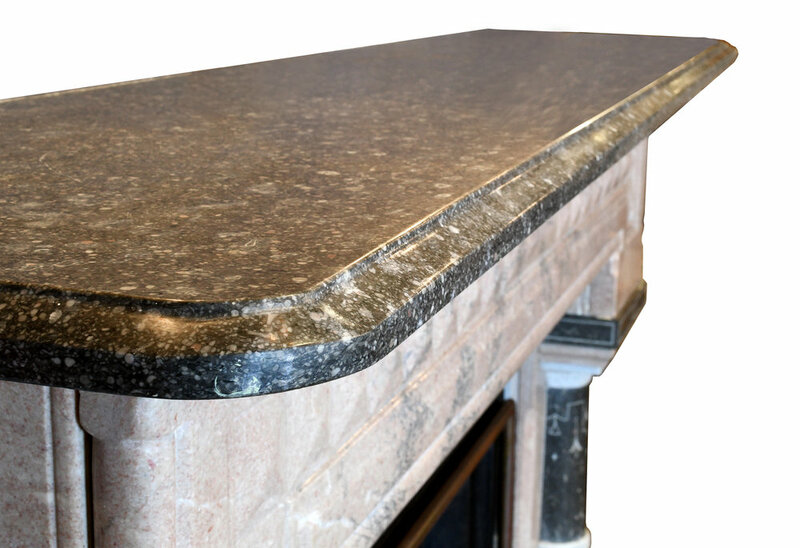 Subtle pink and rich grey marble is used throughout, creating a delicate, yet assertive, contrast. Be sure to include the Product ID (AA#47698) when making your offer.